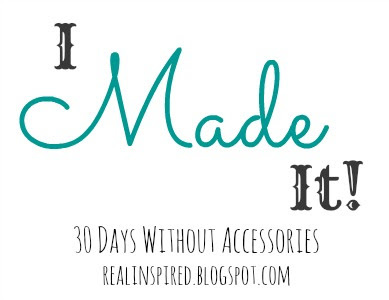 Real Inspired: I Made It! I made it a whole month without my house accessories! It got hard toward the end, but I made it. Now I can start putting my random junk out again! Hopefully, I have learned not to put out so much random junk this time. I was able to go through some of it and set it aside for the giant multi-family yard sale we're planning. I still have a lot to go through. Having rooms cleared of all their stuff made it easier for me to see what was necessary and how the room could function better. 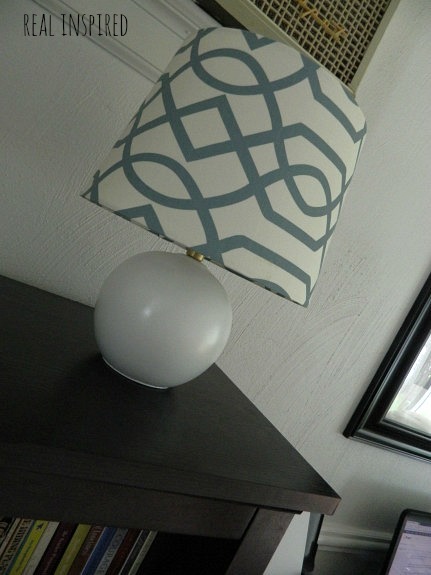 Like this lamp. I put it in the living room knowing it would never stay but having no idea where else to put it. It was clear we needed a light in our office and, since the shelves were clear, finding the right spot for it in that room was so much easier. Plus, taking all that stuff down really helped solidify for me which things I absolutely loved and which things were just "eh." The trick is going to be with more sentimental things. Things I don't really want to decorate with but don't want to get rid them either. I guess I'll pack them up along with my stuffed animals. I just might make a habit of this every year. Note to self: trips to ikea may sabotage your accessory-less efforts. 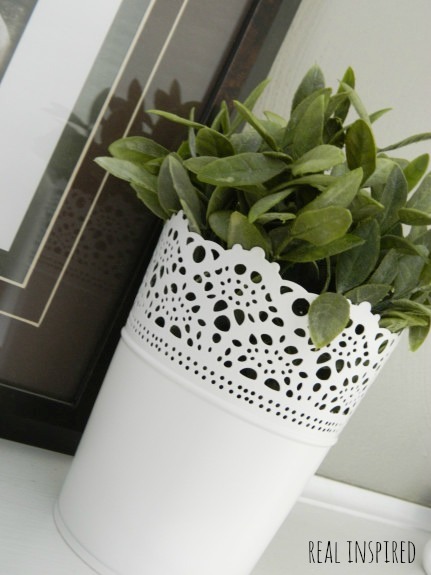 You can find the original inspiration for this challenge here at the Nesting Place. Yep, Elizabeth! Bon voyage to all that 'eh' stuff! This was fun, wasn't it? Very fun! I'm already looking forward to doing it next year! I hear you about IKEA! I still love it, though. Good for you for taking on the challenge. Great insights.